The Stangle family, synonymous with leadership and philanthropy at Bates, has made a significant new commitment of $750,000 to the college. With this gift, Bruce Stangle ’70 and his wife, Emily Siegel Stangle ’72, join the multimillion dollar Catalyst Fund effort supporting major strategic initiatives at Bates. The “engaged liberal arts” means delivering a rigorous and highly personalized education that centers on deep and sustained interactions among students, faculty, and community. It also means engaging the forces — intellectual trends, demographic changes, and technology — that are transforming higher education and the world into which our students graduate. It means making a virtue of our scale; creating a diverse and motivated community of students, faculty, and staff; and embracing innovative and evidence-based approaches to teaching and learning. Purposeful work is a college-wide initiative built on the premise that preparing students for lives of meaningful work lies at the heart of the liberal arts mission. When fully developed it will include: (1) a co-curricular program involving cycles of exploration, reflection, and skill-building; (2) practitioner-taught courses during short term, and (3) a highly-structured Bates-specific network of internships, with the hope to guarantee every Bates student a paid internship that is either employer- or Bates-sponsored. A commitment to opportunity and excellence grows directly out of Bates’ history and mission and responds to contemporary geographic, demographic, and economic realities. It means recruiting talented and motivated students from a broad range of backgrounds, providing them with the financial aid that will enable them to enroll, and supporting them for academic and personal success once here. It also means creating a campus community and climate that capitalize on diversity and inclusion as necessary and powerful dimensions of preparing our students to live and work in an increasingly interconnected world. An English major at Bates who holds a Ph.D. in applied economics from the MIT Sloan School of Management, Stangle is the co-founder of Analysis Group, the nation’s largest private economic consulting firm. A Bates trustee emeritus, he was recognized in 2011 for his many contributions to the college with the creation of the Bruce Stangle Award for Distinguished Service. 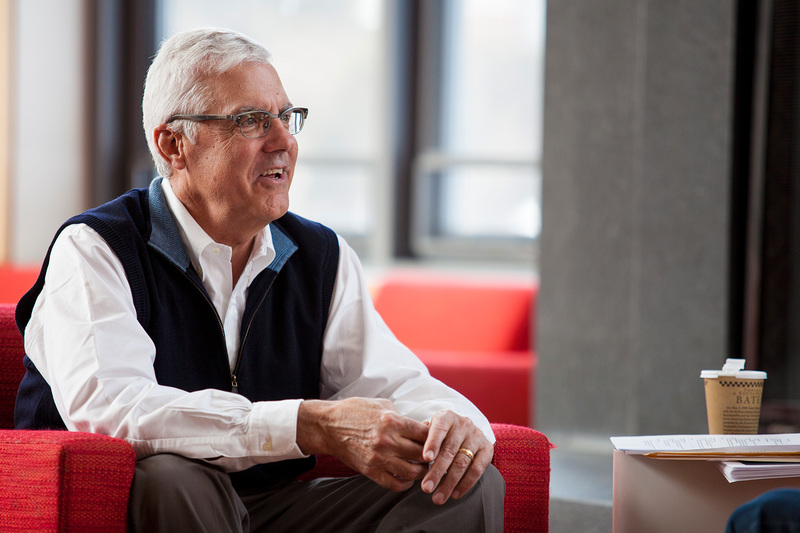 Over the years, he has helped countless Bates students and alumni navigate the business world and, among other outcomes, helped to launch the Boston Bates Business Network. 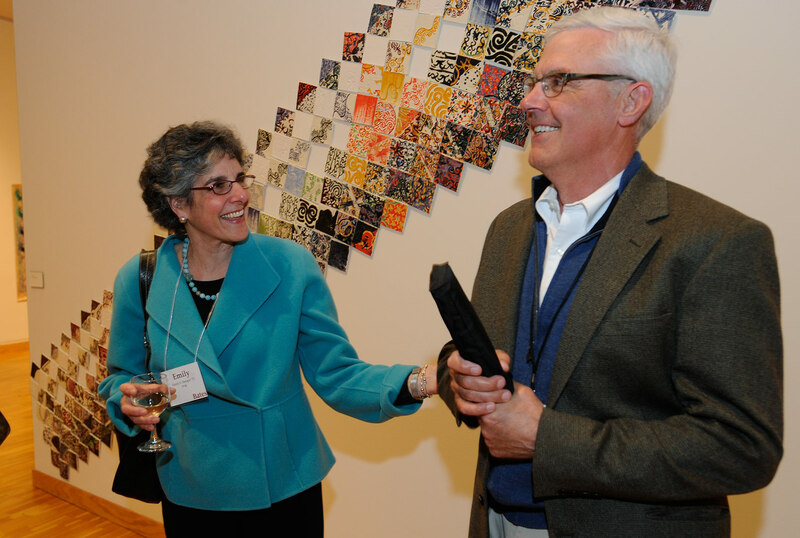 The Stangle family’s philanthropy has included the Betty Doran Stangle Professorship in Applied Economics, named for Bruce’s mother and currently held by Professor Margaret Maurer-Fazio; a leadership gift that named, in his father’s memory, Frank’s Lounge in the student residence at 280 College St.; and the Stangle Family Fund to support research and awards in economics and law, and provide scholarship support for students. 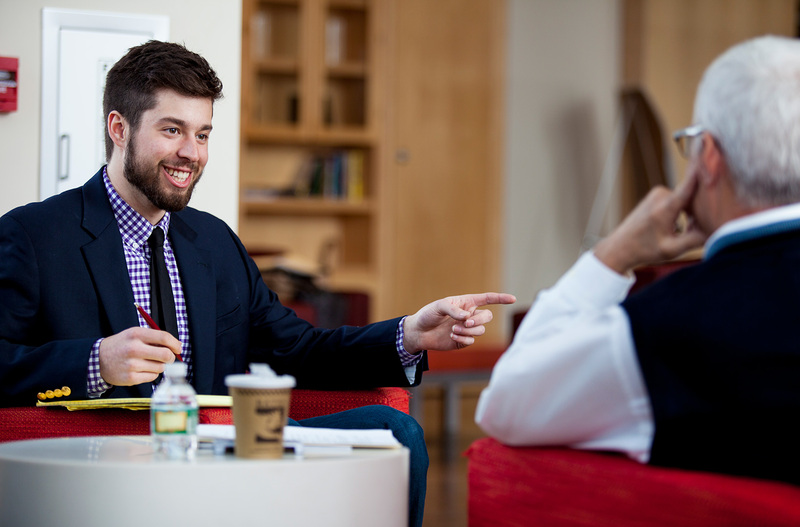 During his campus visit on March 5 for the Voices in Entrepreneurship Series — a program that he helped to organize — Stangle sat down with students one-on-one for a series of informational interviews, dispensing career advice and encouraging mentees to lean on the Bates network. Regularly named one of the best places to work by The Boston Globe and other media outlets, Analysis Group gets high praise for maintaining a work culture that prizes both collaboration and leadership, without putting the two at odds. That culture, Stangle says, was imported straight from Bates. “Bates entrepreneurs know how to create good work environments because it matters to us how we motivate, reward and incentivize people,” he said.